Alabama is home to an impressive array of flora and fauna, due largely to its diverse habitats. Alabama's varied topography ranges from the rugged Cumberland Plateau in north Alabama to the rolling Coastal Plain in the central and southern part of the state. 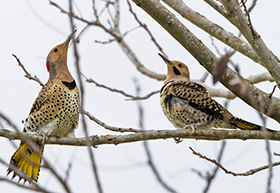 These regions are home to such common animals as the wild turkey and the white-tailed deer, as well as the endangered Red Hills salamander and the Alabama beach mouse.